The Witcher 3 game promises to be very ambitious and great project, and even the developer diaries for it are made in a big way. Recently CD Project RED has published fantastic dev diary video about The Witcher 3 game, and today the developers have showed how they were shooting it. The first video was published in the middle of June and demonstrates the beautiful landscapes that inspired the developers to make their great game. Against the background of stunning rivers, mountains and forests, several representatives of the developers' team have told about The Witcher 3 game's universe, characters, graphics and more. To see all this magnificence on your own eyes, watch this The Witcher 3 video. To create such trailer the developers had to spend long days in the cold forests, and this ambitious dev diary was really hard to make. Today we have got a chance to approach the team that is developing The Witcher 3 game and watch how the video above was produced. 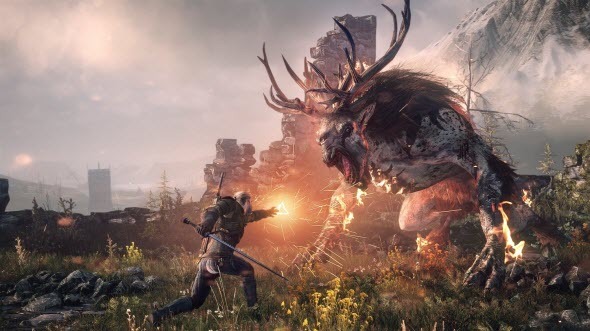 The Witcher 3: Wild Hunt is coming in 2014 for the next generation of consoles and PC. To find out about its free DLCs and to look at the fantastic game's screenshots, check our previous publications.